The relationship between stock market returns and volatility is negative. Common investor knowledge, I presume. Since the start of this millennium the correlation between weekly changes in the VIX index and and in the S&P 500 Index is roughly -0.8. But, what kind of returns lie underneath? Here are three charts to give you an idea. The first two charts will focus on average daily S&P 500 index returns realized during a number of ‘volatility regimes’; very low volatility (VIX index below 12), volatility below 20, above 20, above 30 and finally volatility above 40. Historically (since 1990), the VIX level has averaged roughly 20. Hence, a split at a VIX level of 20 automatically sheds light on daily returns for periods characterized by above/below average risk. The first chart confirms that average returns go down as volatility increases. On days when volatility is very low (<12), the S&P 500 index realized an average return of +0.19%. That compares to an average daily return of -0.67% on days when the VIX stood above 40. However, the return differential between days when risk is below (+0.09%) or above (-0.06%) the historical average of 20 is also significant. Remember, these are average DAILY returns. If we assume that, in a given year with 250 trading days, there are 125 trading days both below and above average volatility, the return difference would accrue to almost 20% on an annual basis. Finally, the chart below only looks at VIX movements, and not levels. 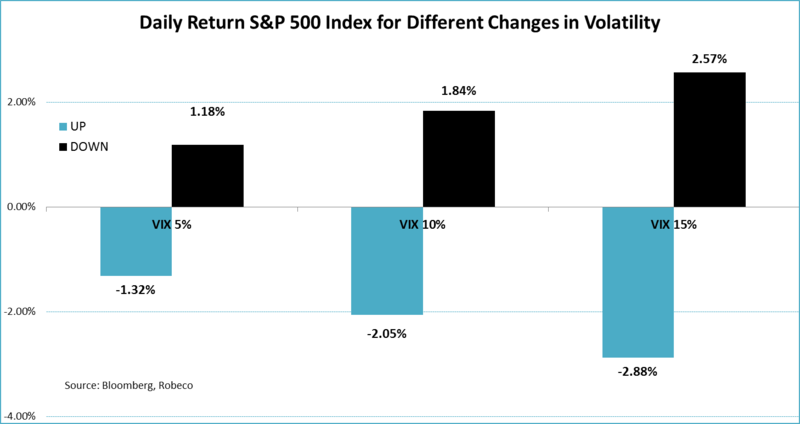 Daily returns get bigger as the changes in volatility increase. 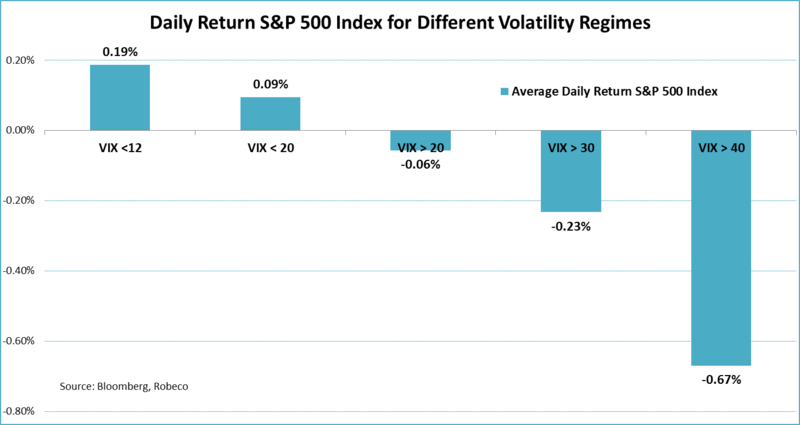 The return data reveal that even on days when the VIX index moves by 5% or more (historically this happened on 3 days out of every 10 days), the average daily returns are already pretty impressive. Both are bigger than 1%. 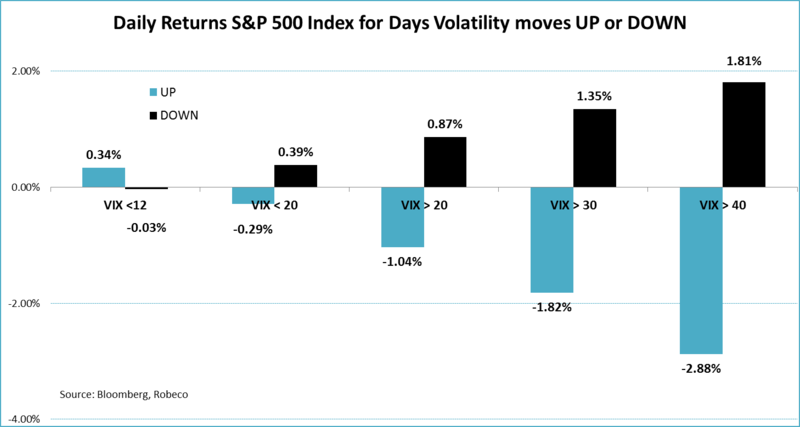 But, when it comes to volatility changes, the magnitude of the return on UP and DOWN days is now pretty much the same.